No. Because Jodorowsky is a very unique visionary. He has a very strong, unique vision. I am a total different human being. It would be very presumptuous and arrogant for me to try. I would love to talk to him. I’ve wanted to meet him for a long time. I think he’s a fantastic filmmaker and I would have loved to see his Dune. I think it would be a very singular Jodorowsky movie. 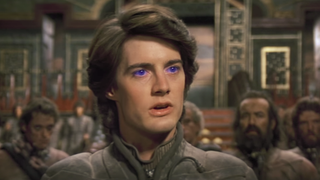 Will it have been the vision I have for Dune? Very far away. I mean, I am sure because he is so unique. The recommended stories must flow!